Crime against wildlife is a multibillion-dollar global enterprise that experts say is only increasing as poaching and trafficking networks grow more sophisticated and move into dark corners of the internet. But this bird, a protected species, was dead - and that's why it was here, beak-up in a laboratory. It had been shipped to this picturesque college town by federal agents somewhere in the West who suspected it had been electrocuted by power lines. Now its carcass was evidence in an investigation that could lead to criminal charges against a utility company. A veterinary pathologist was about to cut open the bird in the hope of determining its cause of death. 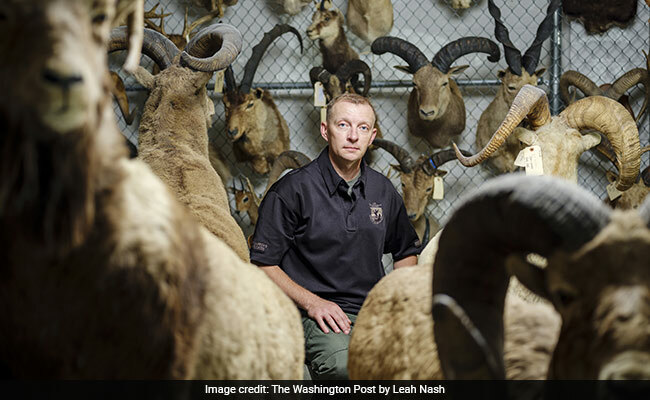 This unusual federal facility, the world's only full-service forensics lab for wildlife crimes, analyzes thousands of creatures that each year cross its threshold in the form of carcasses, parts and products. Its mission is to use science to find how the animal died - and often, to figure out what kind of animal it was. "In police work, you know what your victim is - it's Homo sapiens," said Ken Goddard, a former crime scene investigator who now directs this place, the U.S. Fish and Wildlife Service Forensics Laboratory. "Our first job is to figure out what a victim is." Crime against wildlife is a multibillion-dollar global enterprise that experts say is only increasing as poaching and trafficking networks grow more sophisticated and move into dark corners of the internet. When authorities interrupt that enterprise, this lab is often a critical stop in their investigations. 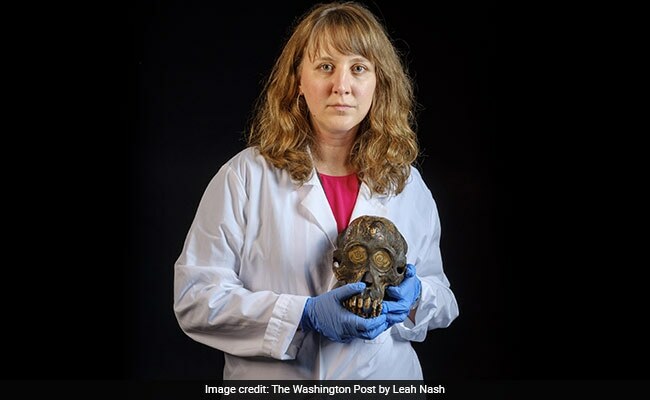 Its scientists run DNA tests, examine bullets, identify poisons and compare remains to some 35,000 specimens in the lab's reference collection - a ghoulish panoply of pelts, bones, feathers and claws. When 13 bald eagles turned up dead on a Maryland field two years ago, chemists here found they had been killed by a banned pesticide. When a mysterious werewolf-like canine was shot in Montana this summer, geneticists concluded it was merely an odd-looking wolf. When one member of an infamous Irish gang pleaded guilty last fall to illegally exporting a rhino horn cup, he did so after the lab determined the vessel was fashioned from an endangered great Indian rhinoceros. Not that Goddard or his colleagues will tell you that. "We never call to see how the case went in court," he said. "The gold star on the wall is a successful presentation, not a successful prosecution." The one-story, 40,000-square-foot lab is a federal building, but it feels almost quaint, compared with the fortresses in Washington. Visitors don't pass through metal detectors, though evidence is sometimes X-rayed upon arrival. A new parking lot barrier gate was installed this summer to deter truck bombers, not because of a specific threat, Goddard said, but because it's protocol at government facilities. Goddard half-jokes that some officials at headquarters do not even know the 34-employee lab exists. But the lab is at the forefront of this kind of science. Its genetics refrigerators store tens of thousands of animal DNA samples. Its deputy director, Ed Espinoza, has made several breakthroughs, including a method for identifying types of ivory and the use of a mass spectrometer to determine the species, and sometimes origin, of wood - a growing target of traffickers. Biologist Johnnie French travels to African countries to train rangers there on crime scene investigation (CSI) techniques to use when they find poached rhinos and elephants. But French's primary job is as a sort of curator and manager of a macabre collection that reflects humans' long-held fascination with gathering animals alive and dead. Room after room at the lab hold metal lockers and drawers bursting with specimens that have been seized by authorities or donated: a cabinet of silky big cat pelts, a tray of rainbow-hued birds-of-paradise, a freakish purse made from a monkey, the tanned and suede-like skin of an elephant's face. The collection is so vast that the lab is soon breaking ground on a new 14,000-square-foot warehouse to house it. French gives what he calls his "sights and smells tour," which begins with a small room where the larvae of flesh-eating beetles in transparent bins strip the meat from animal bones so that they can be analyzed for injury or stored for reference. Across the hall is French's prep room, where he skins and tans or taxidermies newly acquired samples. "This guy's one of my favorites," said French, a former Army paratrooper, as he pulled a dead but very alive-looking Gaboon viper out of a walk-in freezer, one of several snakes seized in a federal investigation in Nevada. "This high-school kid had 43 of the most venomous snakes in his room. And his mom had no idea." An hour later, a FedEx delivery came: Two bins of frozen carcasses from the Santa Ana Zoo in California, which, like other zoos, donates to the lab's collection. This one held a rhea, several primates and a giant anteater that, French discovered as he ripped open several layers of plastic bags, was missing its head for reasons he did not know. "I'll process each of its digits individually. That way we can always go back in five years or 10 years and say, 'You know, this necklace looks like it has giant anteater claws,' " he explained. Knowing what each claw looks like would help the scientists determine whether such a necklace was "made from one individual or three." The lab handles mostly federal cases, but it is also the official lab for the 182 nations party to CITES, the Convention on International Trade in Endangered Species of Wild Fauna and Flora. Goddard was hired to help launch it in 1979, after what he describes as several years working as "a police crime lab director in Southern California digging up bodies out in the desert." The facility ended up in Ashland, a town flanked by two mountain ranges just north of the California border, in part because a local chiropractor pushed Oregon senators to support the project. The lab began working cases a decade later, and Goddard, a garrulous 72-year-old with the bass voice of a radio announcer, has been there since. He says the work has given him confidence that he'll look back on his professional life as meaningful; it's also provided fodder for his side-gig as a crime novelist. "A sense of humor is important," Goddard said as he stood among various animal products displayed in the morphology lab, which, he emphasized with a smirk, has never come across a sasquatch sample. "You can't take yourself too seriously in this work." 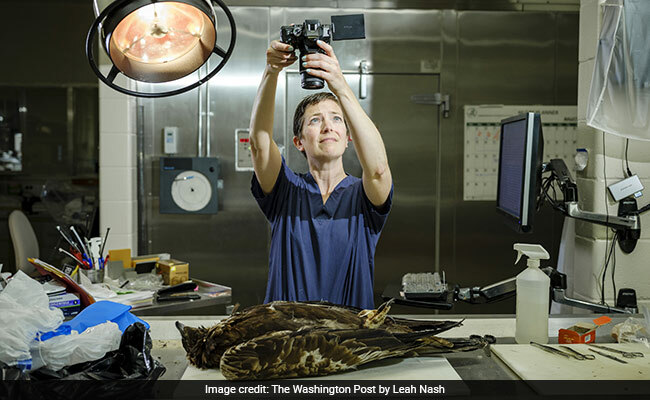 That afternoon, veterinary pathologist Rebecca Kagan carried the dead golden eagle into a backroom and turned off the lights. Wearing red goggles, she held an alternate light source, the kind often used in forensics to detect fingerprints. But, as she and colleagues had discovered years before, it also can reveal electrical injuries on hair or feathers. Kagan was surprised to find none on the bird, so she carried it back to the elevated metal table. Soon, she found another surprise. Blood was pooled in spots inside the golden eagle, which she had begun to carve open. "It's not really consistent with electrocution. Interesting," Kagan said. It could have been caused by the ingestion of rodent poison, she said, which chemists would have to determine. A chart on the lab's wall showed various rifle pellets. Another explained how to tell the difference between golden and bald eagles based on skeletal remains. The lab's findings have often been used in prosecutions under the Migratory Bird Treaty Act. But the Trump administration said this spring that it would no longer apply the treaty, 100 years old this year, to unintentional bird killings. Golden and bald eagles remain broadly protected under another federal law, however, so the birds continue to show up in Ashland. 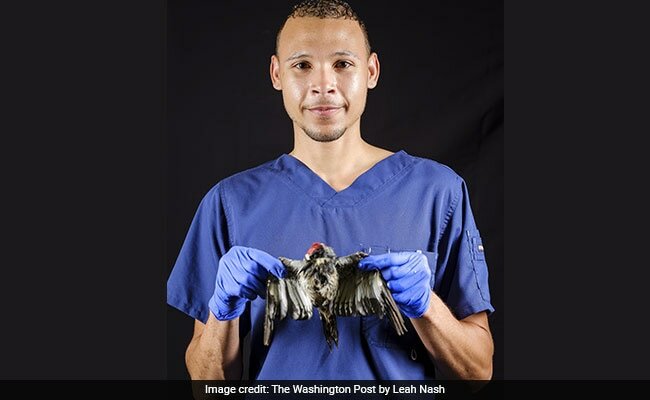 Across the room, Tabitha Viner, also a veterinary pathologist, wore purple surgical gloves and listened to Simon and Garfunkel while examining a bald eagle that may have been struck by a wind turbine. "In a human autopsy, people don't hide their bruises," but animals do, Viner said. "The question from special agents always is: Did a human kill it?" Viner, who previously worked at Smithsonian's National Zoo, had X-rayed her bird, and now she was sitting in front of a computer inspecting the results. "Both wings are fractured. This humerus is half-gone. This leg is fractured," she said, adding that all were signs of a high-speed, blunt-force impact more damaging than, say, a car collision. "Our nation's icon," she said quietly as she continued her exam of the carcass. "Kinda broken."